I hope you're having an amazing weekend! We went and saw Django last night and it was such a good movie. Even better than I expected! And it was exactly what I needed -- just a chilled night so that I could wake up nice and early to be somewhat productive today! In these photos I'm wearing the dress from the last post that was hidden under my oversized coat and scarf. I really wanted to show it to you because I got the best deal on it (only $9!!) and I love the lace detail. 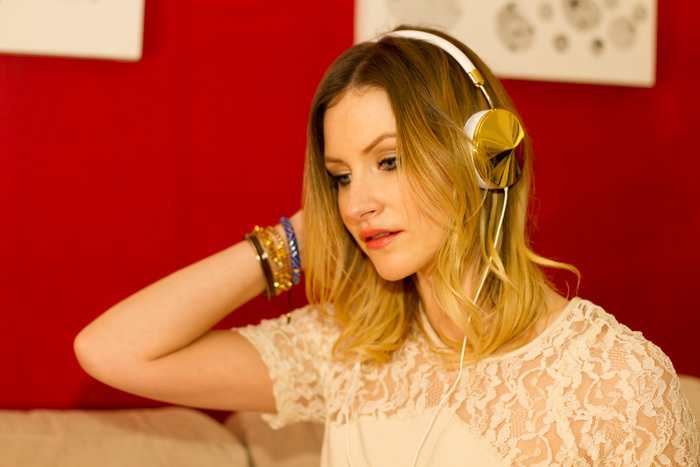 I also wanted to show you another of my current favourites, which is this amazing set of headphones from Frends. This is the Taylor model and I just can't get enough of them. They are going to be such a Godsend when I am on that super long flight to Australia in a couple of weeks. You look amazingly beautiful!!! Great pictures as well! 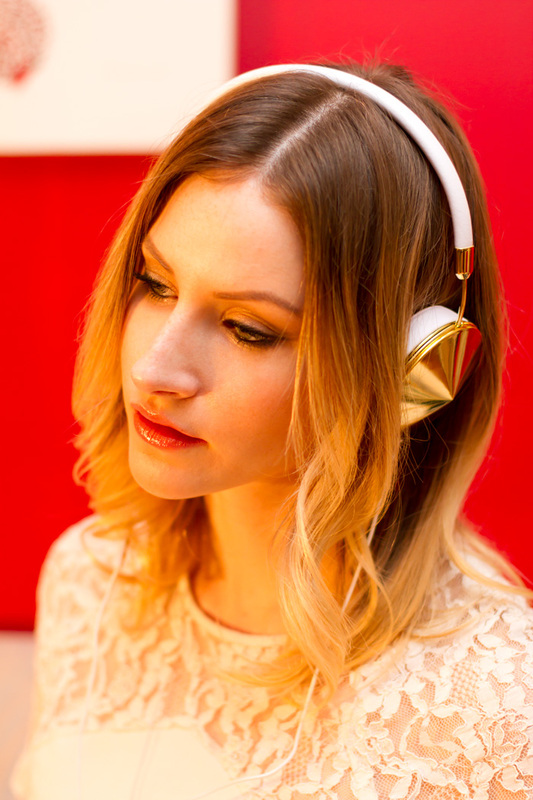 Those are some stunning headphones! And love your outfit! Love the dress! It's stunning and such a bargin! How exciting that its getting closer to your trip here! Wow those headphones are the most glamorous ones I've ever seen! And once again those boots are stunning, love the way you've styled them with different outfits! Only 9$?! What? That is incredible. I love it! I also want to see Django but I am not sure it's out yet in Amsterdam. Hope you have a great start of the week!! Beautiful lace dress and at such a good deal makes it even better! You layered it perfectly with that fun animal print coat! Have an amazing time in Australia! These pictures are incredible, you look great! The headphones are amazing, love your dress!!! You are so gorgeous! I'm loving their coats so much. I want to see Django so badly! I love the headphones! They are so so classy. I love this headphones, I've wanted them for a while now. I love this blog , looks like a mix of beauty and youth! I’m a new follower! Hope we’ll stay connected and be friends! Great shots girl! In love with those boots! I gotta check those headphones out! Ooh you're going to Australia! Jealous!! amazing photos! could you please tell me what lens you are using? Nice coat. I have always been afraid to wear a leopard print coat. You look great on it. omg!! that headphone!! loveee it! im going to follow you!